As regular readers of this report know, it hasn’t been easy in recent years to knock incorrigibly litigious and civil liability-expanding California off the top of the Judicial Hellholes list. But with plenty of help from the Show Me Your Lawsuits State’s highest court, the City of St. Louis has managed the feat this year. Bloomberg Businessweek reports that the city has become notorious for “fast trials, favorable rulings, and big awards” — so big that four of the top six product liability verdicts in the United States this year came out of St. Louis’s Circuit Court. It’s now being flooded with such claims from out-of-state plaintiffs eager to take advantage of Missouri’s lax standard for expert testimony and laws allowing easy forum shopping. It’s also fast becoming one of the personal injury bar’s favorite jurisdictions for asbestos claims and consumer class actions. Using what some defense counsel have come to call “trap, trash and trick” tactics, plaintiffs’ lawyers through the summer of 2016 had engineered about 2,100 individual claims, grouped in roughly 260 separate lawsuits nationwide, alleging with no scientifically sound evidence that talcum powder causes ovarian cancer. Noteworthy is the fact that two thirds of these claims have been filed in the City of St. Louis Circuit Court. And three gigantic talc verdicts there this year, totaling $197 million, were for plaintiffs from Alabama, South Dakota and California. Trap. Among other reasons, plaintiffs’ lawyers are eager to trap talc defendants in St. Louis because Missouri is one of a shrinking minority of holdout states that have yet to adopt the more exacting Daubert standard for expert testimony. Named for a 1993 Supreme Court precedent, Daubert is the standard now used in all federal courts and about 40 state court systems. It effectively requires judges to act as gatekeepers in reviewing the substance of expert testimony before it is presented to a jury in order to weed out fanciful evidentiary theories that haven’t passed peer-review muster. Plaintiffs’ bar efforts to trap talc cases in St. Louis are aided by the state’s rather pliable venue law, which allows lawsuits to be filed in any county where at least one individual claimant — among the scores comprising a typical talc lawsuit — resided when her alleged injury occurred. 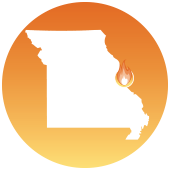 A circuit-splitting 2010 decision by the U.S. Court of Appeals for the Eighth Circuit also makes it harder for a Missouri defendant to remove a case to federal court when a local anchor-claimant has been added only to keep the litigation in state court. And by keeping the number of claimants in their respective talc lawsuits under 100, plaintiffs’ lawyers also avoid the federal Class Action Fairness Act’s threshold for removal to federal court. Trash. Before, during and after they’ve managed to trap their lawsuits in St. Louis, personal injury law firms make sizeable investments in local television advertising to trash defendants and their products with wholly unfounded claims. Ostensibly packaged as client solicitations, the incessant ads more practically function as a means to influence potential jurors. To wit, talc defendants filed a motion in late July seeking to have a trial moved “outside the St. Louis media market and at least 100 miles away, in order to minimize the jury taint” from such ads. The motion offered extensive analysis of plaintiff firm ad-buys, noting that, from July 2015 through June 2016, more talcum powder litigation ads were aired in the St. Louis media market than in any other market nationwide. In March 2016 alone, 23% of all talcum powder litigation ads airing across the country aired in St. Louis, even though that market comprises just 1% of the national television audience. 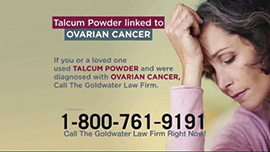 Furthermore, a survey of potential St. Louis jurors revealed that more than 6 in 10 recall being exposed to ads linking talcum powder use to ovarian cancer, and that a sizeable majority of those who recalled the ads had formed an “unfavorable” opinion about talcum powder. Trick. With their trashing phase complete, plaintiffs’ lawyers then work to trick preconditioned jurors into believing their expert witnesses’ testimony alleging a causal relationship between talcum powder use and ovarian cancer. Never mind that the scientific, medical and regulatory communities are united in saying that no such relationship exists. Even in generally plaintiff-friendly New Jersey a judge in September 2016 dismissed two talc cases scheduled for trial after deciding that the plaintiffs’ experts who’d testified in St. Louis are not qualified to testify in the Garden State. Nevertheless, defendants’ pleadings to have those so-called experts excluded from St. Louis trials fall on deaf ears. Judges there invariably allow the introduction of this junk science and, with visibly ill women or their surviving loved ones as sympathetic clients, practiced personal injury lawyers then pluck jurors’ heartstrings and persuade them to come back with outlier verdicts that fly in the face of genuine science. A similarly shameless trick was played on Missourians in late June when lame-duck Governor Jay Nixon, a grateful past recipient of generous campaign contributions from trial lawyers, vetoed legislation that would have finally adopted the more exacting Daubert standard for expert evidence and thus made the state less hostile to defendant companies and the economic growth and job creation they provide. But lawmakers are expected to try again in 2017, and with a newly elected governor who’s less dependent on plaintiffs’ bar cash, hope springs eternal. The City of St. Louis Circuit Court’s welcoming embrace of junk science has extended well beyond talcum powder cases. A growing range of businesses are feeling the pain of litigation there. In May 2016 Monsanto was hit with a $46.5 million verdict in a case alleging that three plaintiffs developed non-Hodgkin lymphoma by eating foods contaminated with PCBs. The award included $17.5 million in compensatory damages and $29 million in punitive damages. The plaintiffs in this case resided not in St. Louis, but in Alaska, Michigan and Oklahoma — states that have adopted stronger standards for expert testimony than Missouri. Nearly 100 plaintiffs have similar claims pending in St. Louis. Only three are from Missouri, including one from St. Louis. The American Cancer Society recognizes that most forms of non-Hodgkin lymphoma have no known cause, and that lymphomas most often develop as people age. In fact, four earlier trials, three in California and one in St. Louis, resulted in defense verdicts. Another example of the Missouri’s weak expert-testimony standard came in 2015, when Abbott Laboratories suffered a $38 million judgment in St. Louis for allegedly causing birth defects after an expectant mother had taken its anti-epileptic drug Depakote. Abbott contested venue in St. Louis, but the court allowed the suit to proceed. Despite flimsy evidence of the drugmaker’s alleged failure to properly warn of possible side-effects, a Missouri appellate court affirmed the trial court’s rulings in November 2016. Meanwhile, by way of contrast, an Ohio jury this year reached a defense verdict in a similar case after a federal judge prevented four plaintiffs’ experts from speculating on the stand about federal Food and Drug Administration labeling regulations. 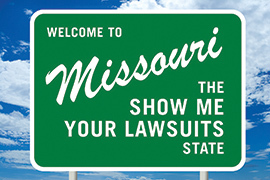 As if its lax standard for scientific evidence and existing law that makes it difficult for defendants to remove their cases to federal court weren’t enough to make the Show Me Your Lawsuits State a litigation tourism hot spot, a unanimous October 2016 decision by the Supreme Court of Missouri effectively rolls out a welcome mat for out-of-state plaintiffs suing out-of-state defendants over alleged out-of-state injuries. The state’s notoriously weak venue law has long allowed plaintiffs’ lawyers to shop their cases readily to the friendliest state courts. And as reported by Missouri Lawyers Weekly, the high court has firmly cemented that law in place. Now, without legislative and executive intervention, there is virtually nothing stopping plaintiff’s lawyers from picking their preferred judge and jury. In this recently decided case, a Kansas title company had sued a Kansas lawyer in Missouri state court for malpractice stemming from a Kansas bankruptcy case that had been adjudicated, of course, in a Kansas federal court. But instead of narrowly limiting its holdings to the unique facts of the case, wherein the defendant, by default, had effectively consented to personal jurisdiction, Missouri’s Supreme Court interpreted the applicable venue statute in the broadest terms imaginable. It adopted the plaintiff’s argument that, as long as personal jurisdiction is not improper, and the state venue statute doesn’t dictate a particular forum for the lawsuit, a plaintiff’s lawyer can pursue the case anywhere he chooses. Sadly, this case will only serve to attract ever larger flocks of vultures, er, out-of-state plaintiffs’ lawyers to Missouri’s comfortably accommodating courts. Just across the river from Madison County, Illinois – a perennial Judicial Hellhole and the nation’s epicenter for asbestos litigation — St. Louis is now competing to build its own reputation as a jurisdiction hospitable asbestos claims. Plaintiffs’ lawyers filed just 67 asbestos-related lawsuits there in 2010. That number has quadrupled. In 2014 and 2015, St. Louis hosted the fifth largest asbestos docket in the country, with about 230 claims filed each year. During the first half of 2016, St. Louis inched up to fourth place, with 133 new asbestos lawsuits filed through June 30. Consulting firm KCIC called that a “significant” 23% increase relative to 2015. St. Louis is increasingly attractive to asbestos claimants for many of the same reasons it attracts other product liability litigation – a lax expert testimony standard, laws allowing forum shopping, and the potential for excessive awards, thanks in part to a 2014 state high court decision striking down a reform statute that reasonably limited punitive damages. So not surprisingly, St. Louis hosted several multimillion-dollar asbestos verdicts in 2016, including a $4.1 million award in January and, in July, an $11.5 million award, $10 million of which were punitive damages. But just as the city’s always competitive Cardinals don’t make the playoffs every year, asbestos plaintiffs in St. Louis don’t win every case, either. For example, in September 2016 a jury reached a defense verdict after a month-long trial against automakers alleging that the plaintiff had developed mesothelioma as a result of inhaling asbestos dust from the work clothing of her husband, a mechanic. In that instance, the plaintiff had sought $3.5 million in compensatory damages, plus $26 million in punitive damages. But even as St. Louis courts sometimes follow the facts and render sound judgments, the Missouri Merchandising Practices Act (MMPA), the state’s consumer protection law, actively “invites potential abuses through socially valueless lawsuits and unnecessary consumer litigation,” according to a report by Joanna Shepherd, a professor of law at Emory University. Shepherd finds that local lawyers repeatedly use the MMPA to file meritless class actions in state court, typically in St. Louis, hoping to avoid potentially less sympathetic federal courts by seeking less than $5 million in damages – the amount triggering federal jurisdiction under the Class Action Fairness Act. Observers say that the St. Louis Circuit Court, and Missouri state courts generally, are much less likely than their federal counterparts to dismiss such meritless claims, more typically taking a let-the-jury decide approach which, as readers of this report well know, exerts great pressure on defendants to settle cases before they go to trial. Even in the rare case when a St. Louis court soundly dismisses a dubious class action, it risks reversal on appeal. 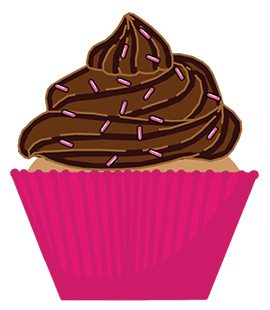 For example, in January 2016 Circuit Court Judge Joan L. Moriarty ruled that a defendant did not engage in deceptive conduct when its “all natural” cupcakes contained a commonly-used leavening agent, which was disclosed to consumers on package labeling. But in November, the Missouri Court of Appeals held that the plaintiffs had made sufficient allegations to survive a motion to dismiss, essentially finding that reasonable consumers can’t be expected to read labels. The ruling, which will govern future food class actions filed in St. Louis, effectively throws open the pantry door for even more meritless claims. Once a jurisdiction is ranked as the nation’s #1 Judicial Hellhole, there are basically two ways to escape the discomfiting spotlight’s hot glare: policymakers can actively work to enact reforms, or they can do nothing and simply hope that another jurisdiction’s lawsuit abuses become so egregious that theirs will be knocked out of the top spot. Recent examples of the former include Philadelphia’s Center for Complex Litigation, where a reform-minded judge issued sweeping rules changes in 2012; and West Virginia, where new legislative majorities in 2015 worked in a bipartisan fashion with the governor to enact a number of much needed civil justice reforms. An ongoing example of the latter is California, where voters continue electing trial lawyer-friendly lawmakers, and judges seem perfectly willing to expand liability at the drop of hat. As noted above, the principal reason the once Golden State lost is top ranking this year is because of what’s happening in Missouri. But there may reasons for hope. After previously striking down legislated limits on noneconomic and punitive damages applied to common law claims, the Missouri Supreme Court upheld in April 2016 the state’s statutory limit on noneconomic damages for wrongful death claims. The ruling found that wrongful death claims are a creation of the legislature, not common law, and that lawmakers have the authority to limit damages in causes of action it creates. Speaking of lawmakers, healthy bipartisan majorities in Jefferson City in 2016 came together to pass two sound tort reform measures: one would have modernized and aligned Missouri’s standard for expert testimony with that of all federal courts and 80% of other state courts; and another would have kept plaintiffs’ lawyers from unduly inflating claims for their clients’ medical care costs. But, as noted above, Governor Nixon, largely owned and operated by the personal injury bar, saw fit to veto both bills, and legislators could not muster enough votes to override those vetoes. But 2017 brings fresh possibilities. A newly elected governor — former Navy SEAL, author and nonprofit CEO Eric Greitens — will have significant reform-minded majorities in both bodies of the legislature. And legislative leaders are hopeful he’ll support their robust civil justice reform agenda. The incoming governor also has expressed interest in reforming the so-called Missouri Plan for selecting judges, in use since 1940, which he and many other critics believe gives plaintiffs’ lawyers too much control of supposedly nonpartisan commissions that recommend to the governor candidates for appointment to the various courts. Plainly, many of Missouri’s judges seem to favor plaintiffs, so critics of the status quo are on solid ground. So if the new governor and legislators act boldly on civil justice reforms, like their counterparts in West Virginia have, there’s hope that the Show Me Your Lawsuits State may revert back to the healthy skepticism of the Show Me State – at least when it comes to meritless lawsuits and the out-of-state plaintiffs who are now burdening Missouri taxpayers, consumers and employers with a very bad Judicial Hellholes reputation.